Andy Johns is responsible for strategic planning, research policy, infrastructure and operations, and elements of regulatory compliance. 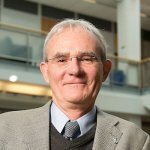 Johns focuses heavily on the complexities and challenges associated with biomedical research, addressing challenges and barriers to growth of the research enterprise, both from a logistics and policy perspective. He has led university-wide efforts to plan for new academic and research initiatives in data science and data analytics, among others. Johns oversees the Offices of Sponsored Research, Clinical Trials, Research Information Systems, and Conflict of Interest. Andy Johns has served in higher education for over two decades in areas of research, financial and information technology administration. 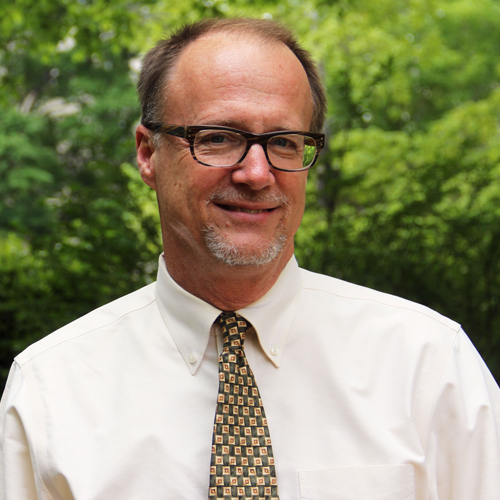 Prior to his current role, Johns served as director of UNC’s Office of Research Information Systems and also held the role of director of IT Services for UNC’s Finance division. Johns received his undergraduate degree from UNC-Chapel Hill. Britt Johnson-Broache serves as Executive Assistant to Associate Vice Chancellor for Research Andy Johns. As part of her duties as the University Research Compliance Officer, Robin Cyr leads the Research Compliance Committee, which is composed of directors of units responsible for research compliance operations across campus. Cyr serves as the policy liaison for the research division, assists with the development of comprehensive training resources for all aspects of research administration and compliance, and oversees the Office of Human Research Ethics, Office of Animal Care and Use, and the Export Compliance Program. She is the primary point of contact for allegations of research non-compliance, serves on the Ethics Line stakeholder group and the university’s Integrity Advisory. Since joining Carolina in 2012, she has represented the University as the administrative representative for the Federal Demonstration Partnership (FDP) and the Council on Governmental Relations (COGR) and serves on the FDP faculty and administrator cooperative team initiative (FACT). Robin Cyr has over twenty years of experience in research administration. Before assuming her current position, Cyr held the dual role of associate vice chancellor for research and director of the Office of Sponsored Research. She came to UNC in 2012 from Partner’s HealthCare system in Boston, MA, where she was director of training and policy in the Department of Research Management. Prior to being promoted into that position, she had served as their director of grants and contracts, serving Brigham and Women’s Hospital since early 2004. 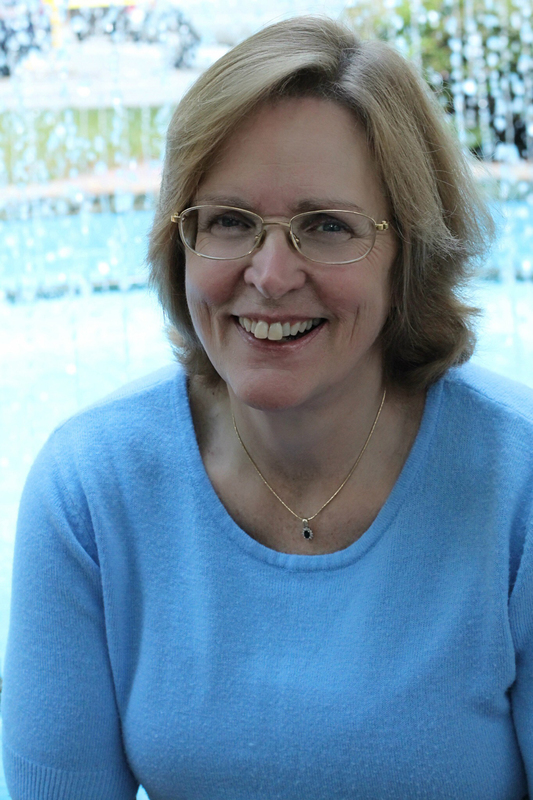 Cyr began working in research administration as a grant and contract officer in the Office of Sponsored Programs at Cornell University in 1997 before being promoted to associate director of the office, responsible for staff training and the negotiation of all industry sponsored agreements and material transfer agreements for the university. Before her transition into research administration, Cyr held several key positions over fifteen years in human and social services. She is a graduate of Virginia Intermont College in Bristol, VA, where she dual majored in psychology and sociology. Cyr has successfully obtained the credential of certified compliance and ethics professional (CCEP) and recently accepted an advisory board member position for the World Research Centre. Jessye Bongiovanni supports Associate Vice Chancellor Robin Cyr. Craig Fletcher advises the Vice Chancellor for Research on strategic planning for research involving animals and participates in the design of new research and administrative initiatives and strategies. Fletcher also serves as director of the Division of Comparative Medicine, serving as university attending veterinarian, manages the university program for laboratory animal care and housing, serves as a member of the Institutional Animal Care and Use Committee, and participates in educational and research program activities. Dr. Fletcher completed his B.S. degree in Laboratory Animal Science from North Carolina Agriculture & Technical State University (A&T), a Doctorate of Veterinary Medicine (D.V.M.) from the University of Florida, and a Ph.D. from Johns Hopkins University. 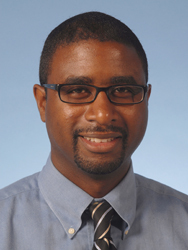 After completing post-doctoral fellowship positions at Johns Hopkins University, he joined the distinguished faculty in the Department of Molecular and Comparative Pathobiology before joining the faculty of the Department of Pathology and Laboratory Medicine in the School of Medicine at UNC. He was awarded the Outstanding Alumni Achievement Award from NC A&T State University, serves as a standing review panel member of the National Institutes of Health’s Scientific and Technical Review Board on Biomedical and Behavioral Research Facilities, and serves as the Chair of the Executive Board for the North Carolina Association of Biomedical Research. DG Werler Executive Assistant to Craig Fletcher. 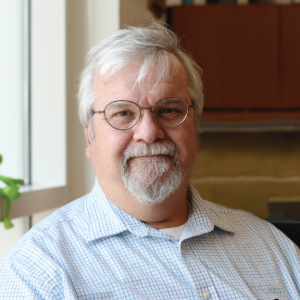 Don Hobart oversees external, public, and government affairs for UNC Research. His responsibilities include developing external partnerships with businesses and economic development organizations, research opportunities with university and institutional research partners, and global relationships. He serves as the OVCR’s primary point of contact for federal and state affairs, working with the UNC Offices of Federal Affairs and State Government Relations on matters relating to research. He represents the OVCR on a variety of internal UNC and UNC System boards and committees and on those of external organizations. He oversees the UNC Office of Research Communications and his staff maintain UNC’s statistics for research impact. Prior to joining UNC-Chapel Hill, Don Hobart served the state of North Carolina in the Department of Commerce and Office of the Governor developing and executing economic development programs and policies, recruiting industry, and managing state and federal government affairs. He has served as chief counsel to North Carolina’s Attorney General and spent a decade in private practice as a defense litigator and trial attorney in the state and federal trial and appellate courts. He was awarded an Eisenhower Fellowship in 2006 to study economic development strategy in Southeast Asia. He received his law and undergraduate degrees from UNC-Chapel Hill. Jessye Bongiovanni supports Associate Vice Chancellor Don Hobart. Harrison Gilbert serves as Research Associate supporting AVC Don Hobart. Joyce Tan is responsible for developing and implementing strategic research initiatives for the Office of the Vice Chancellor for Research and overseeing the Office of Research Development. Tan facilitates interdisciplinary research programs and initiatives to grow the university’s global reputation. She encourages innovation and entrepreneurship by connecting the OVCR with leadership across UNC and by promoting research partnerships with external public and private organizations. 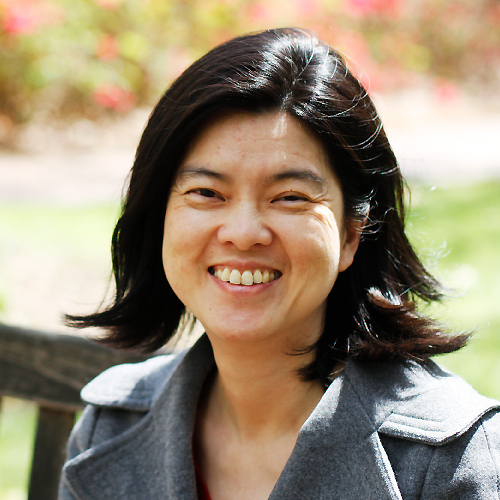 Prior to joining UNC-Chapel Hill, Dr. Tan led the discovery and development of a therapeutic asthma vaccine program and contributed to the development of vaccines in cancer and neuroscience at Pfizer Pharmaceuticals’ Global Research and Development. She also developed small molecule therapeutics in cancer and infectious disease at Anadys Pharmaceuticals. Joyce’s scientific background is in immunology. She made important scientific contributions to the understanding of how cells populate the immune system after chemotherapy and how immune cells maintain memory to respond to subsequent infections. She received her PhD degree from Emory University and BA degree from Washington University in St. Louis. Britt Johnson-Broache serves as Executive Assistant to Associate Vice Chancellor for Research Joyce Tan. 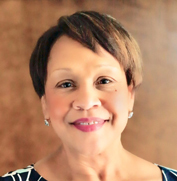 Sibby Anderson-Thompkins is Director of the Office of Postdoctoral Affairs and is responsible for promoting and supporting post-doctoral training, as well as helping to prepare UNC postdoctoral scholars toward successful research careers. Anderson-Thompkins is also Special Assistant to the Vice Chancellor for Research, where she acts as the diversity liaison for the research division and assists in planning, implementing, and assessing efforts to increase diversity and inclusion. Before joining UNC Research, Sibby Anderson-Thompkins served as a clinical faculty member, the assistant dean of the college, and director of Academic Advising at Agnes Scott College in Georgia. She has also served as associate dean of Student Affairs at Hampshire College. At Carolina, she served as assistant dean in the UNC Academic Advising Program and an assistant dean of students in the UNC Office of the Dean of Students before leading OPA. Thompkins has been an active member of the National Postdoctoral Association (NPA), and has served on the organization’s advisory council, as NPA’s Diversity Officer, and as a member of the NPA Advisory Group for an NSF Paid ADVANCE Project. Thompkins received her undergraduate and M.A. in communication studies degrees from UNC. Additionally, she holds a M.S. in educational research and a Ph.D. in educational policy studies from Georgia State University, as well as a certificate in management and leadership in education from Harvard Graduate School of Education. Gail Whitfield supports Sibby Anderson as Executive Assistant to the Director. 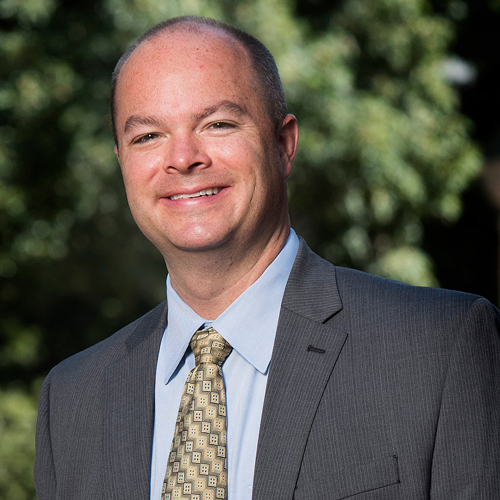 Eric Everett is the Institutional Research Integrity Officer for UNC-Chapel Hill, serving as the University liaison to the federal Office of Research Integrity. As such, his responsibilities include evaluating allegations of research misconduct, protecting the rights of complainants and whistleblowers, and providing guidance and support regarding inquiries into misconduct allegations. Everett also serves as a professor in the Department of Pediatric Dentistry and the school’s associate dean for research. A scientist and mentor, Eric Everett’s research focuses on genes and pathways in the embryonic and postnatal development of craniofacial, oral and dental structures. Prior to joining the UNC Chapel Hill faculty, Eric Everett earned his M.S. in clinical immunology from the University of Florida College of Medicine, before attending the Medical University of South Carolina for his Ph.D. in molecular cell biology and pathobiology. He completed postdoctoral work in hematopoiesis (Howard Hughes Medical Institute) and medical genetics at the Indiana University School of Medicine. Later joining the faculty at Indiana University Schools of Medicine and Dentistry. Alexis Dolgetta supports RIO Eric Everett, as well as research facilities, lab contact lists, and general questions for the UNC School of Dentistry.